It may not be the job he really wanted but Robert Kubica believes he can achieve “personal satisfaction and goals” in his new role as Williams’ reserve driver. 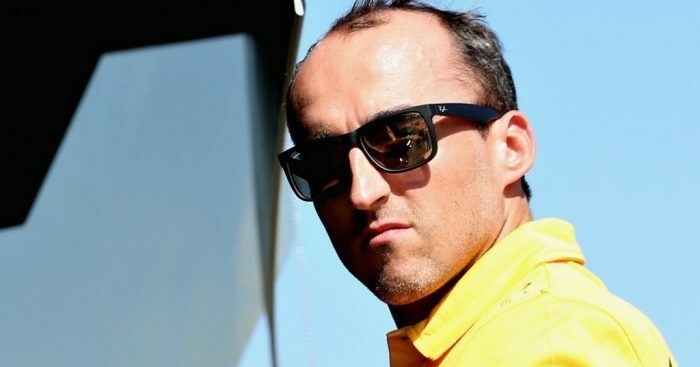 Earlier this week the Grove team announced that Kubica had not secured a race-seat for this year’s championship, instead signing Russian driver Sergey Sirotkin. Kubica, though, was handed a role with the team as their official reserve and development driver. Ultimately it is not what the Pole wanted, having made it clear that he wishes to return to full-time racing, however, he believes he can help Williams in their quest to move up the grid. “My role will be a development and reserve driver,” he explained. “Of course time has changed in Formula 1 so there is a bit less action and much more simulator work. “I will be working, trying to improve the car, help the team in the simulator but also some activities on the race track in order to be in a position to give better feedback. “Having been given the chance to drive a Formula 1 car, and actually see that I’m able to do it, was one of my best days of my life. “I will have a bit of time in the car, behind the wheel, and I’m looking forward to that for sure. “But I’m also looking forward to trying to help the guys with the simulator to get it as close as possible to reality.